This morning, the Euro rose against the Pound following a disappointing UK services PMI, with the pairing currently trading at an inter-bank rate of £0.8783. The UK services PMI saw business activity stagnate with a reported drop in new work, as the figure slipped to 50.1 in January from a previous 51.2. ‘At the risk of sounding like a broken record, Brexit uncertainty continues to be at the heart of the malaise as clients delayed orders and consumers were deeply reluctant to spend under the continuing cloud of hesitation, indecision and ambiguity. Retail sales figures for the Eurozone were also released this morning, showing that sales in December had slipped by -1.6% compared to November, although this could do little to stop the single currency taking advantage of the weakness in the Pound. This morning also saw a poor composite PMI released for the Eurozone, showing this figure had continued its decline, sliding for the fifth month in a row to 51.0 – its lowest level for five-and-a-half years. This saw the pairing momentarily slip, before the single currency was able to take advantage of weakness in Sterling and push back. ‘The deteriorating picture looks broad-based. Italy is in its steepest downturn for over five years and France has sunk into its sharpest decline for over four years. Faster growth in Germany and Spain meanwhile looks tenuous, as order book trends deteriorated in both cases. Throughout Monday morning, the Euro remained buoyed against the Pound, likely a result of the UK’s construction PMI for January falling to 50.6, showing a lack of momentum in the construction sector. The data showed this was the slowest rise in business activity in ten months, with employment growth within the sector also hitting a two-and-a-half year low, which likely left Sterling weakened. EUR/GBP Outlook: Will an Increase in German Factory Orders Cause EUR to Rally? Likely to see the Euro Pound (EUR/GBP) pushed higher is the release of Germany’s seasonally adjusted factory orders for December, which are forecast to increase by 0.3% from the previous -1.0%. As there is a lack of UK economic data releases, Brexit may remain one of the main catalysts for movement of the Pound, as Brexit discussions are continued. The pairing seems likely to continue to rise tomorrow, as the debate over ‘alternative arrangements’ to the Irish backstop coming to an end, and if MPs are unable to get an idea approved by the EU it could leave sentiment for the Pound dampened. 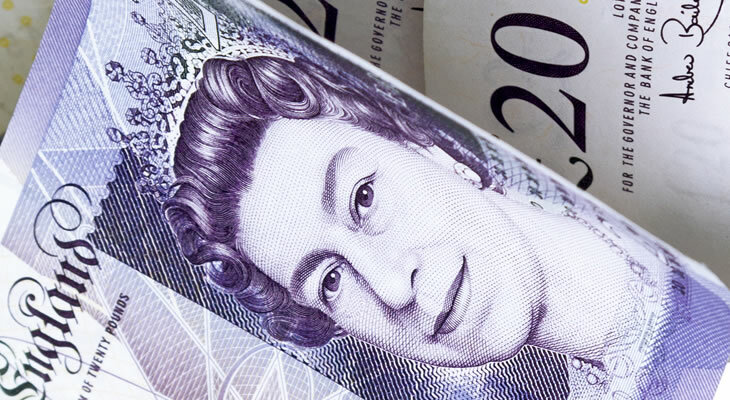 Wednesday is likely to see movement of the EUR/GBP pairing as the Bank of England (BoE) is due to release their interest rate decision, and if this figure remains steady at 0.75% as forecast it could see the Pound push back against the Euro.